Wishful thinking. Nothing will come out unless Pakistanis stop living in la la land. Things are going as usual. Lot of self imagination and far from ground reality. Colour blind analysis as usual. According to the author Pakistan will rule the world in next few months if not weeks. Day dreaming at its best. Glad that you are retired, limited to writing columns, and not an active diplomacy for Pakistan. Pakistan deserves much better. With the geographic location, potential, and opportunities available; it’s hawks like you with establishment who are a real hindrance to the progress and position that Pakistan deserves. In this new World order. Same old lines and an ostrich’s viewpoint is not going to change anything, other than wasting ink in writing these columns. Please wake up sir, smell the coffee. Your country and countrymen deserve much better. Great analysis, Somehow Mr. Modi portrays himself as a tough man for domestic politics. Indians as a whole do not like him, and it is a matter of time that India will be back on dialogue table with Pakistan. 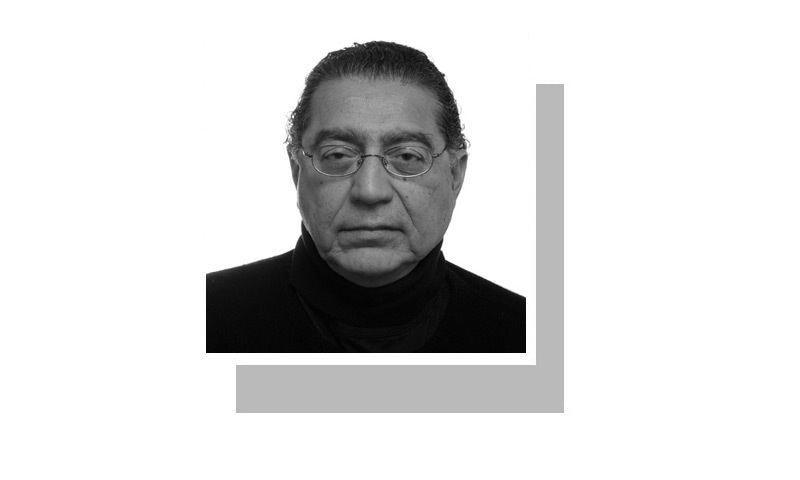 Can India live in peace with Pakistan? that is a question to be answered by Indian politicians. India has added another dangerous reason for conflicts by manipulating water course in held Kashmir This has further reduced any hope for bettering the relationship. The past should not dictate the future. China is playing a huge role in diffusing the enemity between India and Pakistan. China wants a peaceful region so that more trade and goods movement can happen easily. China is not a big weapons exporter so they have no incentive to spread insecurity in the region. A drab article with absolutely nothing new to add. Its disappointing to see a section of scribes not willing to overcome their prejudices and continue to wish a scenario that may remain a wish forever. We should all hope that the relations improve. Modi is bad news, but improvement of relations will help Pakistan and even USA will change its attitude towards Pakistan. Speculations are made, but Pakistan does not reciprocate to what India needs to continue the dialogue. India will not respond to any overtures of Pakistan attempt for peace, until it takes seriously at the borders. There is little or no chance of resolving the major issues with India. Pakistanis are having none of it. Pakistan's leaders are not even rational on the subject. A new generation is not in power yet. The political old guard makes makes it's living stirring up hatred for India. Excellent article! Excellent summary ! The ground realities, unfortunately, speak differently about peace between the two countries. Indians have killed over 120.000 people in Kashmir, supported an insurgenct which has killed 40.000 people in Pakistan and is now blocking and diverting our rivers. I see no chance for normalisation with a bandit state like India. Pakistan must be aware of Indian duplicity. It appears very simple to go by UN Resolutions but cunning diplomacy would prevent the benefits which otherwise could be achieved. See so many Indians commenting and it seems they are obsessed with Pakistan. Look at your own backyard before passing remarks. A country ruled by terrorists csnt talk of peace and eliminate terrorism else modi wont be ruling. Brilliant analysis as usual. But India should not be allowed to go Scott free for all the terrorism it has conducted in Pakistan. Price has to be paid by India. @Hope Where did you get the idea that Indians as a whole do not like Modi? Most Indians want him back for your information. Its all your wishful thinking. Modi will be back in 2019 and you need to learn to accept him. The dichotomy of governance divided between the elected and the military in Pakistan has led to a constant instability in its foreign policy but with one constant being India. It needn't a be so if the civilian government is able to allocate more resources to its economy as opposed to the military usurping the largest portion to keep its enemity with India on a slow burn. India has blossomed with a growth rate among the highest in the world for several years running by paying bulk of its budget to the well being of its people.Imagine if the relations between the two countries were normalized. We both would be challenging the world with the strongest economies. There is no shift in Indian policy on the ground. Few positive statements cannot taken as policy shift. India is just trying to look good in front of SCO. Opening up CPEC to India means end of Kashmir cause. Normalizing relation with India will remain a dream,since independence 60 years USA was tempering relation while we being his ally now India is USA friend so spoiling factors remains same so no need to struggle for better relation amongst two neighbouring. Excellent analysis with good suggestions. To followup on current issues would require an intelligent political leadership in Pakistan. 'divided between the elected and the military in Pakistan has led to a constant instability'. The people of Pakistan give credibility to an election only if the power shifts between military and politicians. A radical shift in power structure certainly is a sign that those conducting the elections did not cheat, that is so everywhere in the world, or at least should be. A power shift from Larkana to Jati Umra is not enough of a power shift to garner credibility and cries of foul have persisted ever since in large segments of our society. @Hope, you are hoping in vain, just a survey suggested, that more over 70% Indians would like Modi to continue after 2019 general elections. The relationship with India will get normalized once Modi gets kicked out in 2019. With the oil prices rising and lack of employment in India, things are looking bleak for the dream merchant. Modi bhakts will continue to parade the idea about him being elected again but the reality certainly is different. Fair assessment Pakistan and India need to learn to live together. Think of West and East Germany and possible North and South Korea. Live and let other people live too. @Sohail Ahmed : You are the voice of wisdom. Regrettably, too many people in Pakistan have been brainwashed against India. @Kumar FYI, NYPD has an active arrest warrant for this man for domestic violence. Pakistan should come out of denial mode. Afterall it Shares not only border, culture and language with India but most importantly: History. Pakistan does not posesses history of its own. You cannot deny your roots. Sooner Pakistan recognizes this fact, better it would be for both countries. @tarique, grow up man! Who would kick out Modi, if Billion plus People wants him to be their leader? Facts or Fiction, whatever you may call the signs are clear. Everyone eventually ends up in their comfort zones. Indian Pm Modi, despite his fanfare, has achieved little except a few hugs that are meant best as pacifiers to Indian aggressive aims and are typical of being nothing more than cosmetic rituals. Modi and his Indian supporters are now surely facing the real facts as the author here has actually been able to identify clearly in his arguments already reported events in news. @Sachin excellent analysis! On the other hand, America is the biggest exporter of weapons across the globe and generates trillion of dollars and it's in US interest to keep countries involved in perpetual wars. Pakistan, India and China should all work together, improve trade and relations and create an environment like Euro zone for an accelerated economic growth, no need to waste our efforts and money on weapons! Once CPEC is implemented, it will greatly increase Pakistan's power. India will then be forced to come to the table and negotiate with us, as the consequences of not doing so will be very high. So we just to need to a bit patient. Now that we have China's full support, we will be able to do anything. Wishful thinking. India is not in hurry. Russia will never support Pakistan against India. No Russians PM or President either visited Pakistan in last 35 years or invited Pakistanis PM to Russia. It is absolute nonsense to calling your friendship higher then mountain and deeper then ocen. Just watch what happened between Indian PM and Chinese President and Indian PM and Russian President in last 5 weeks. You will get clear picture. Russians and Indian relationship is quite deep and based on mutual interest. Their top leader met 4 times last year. Indian and Chinese leader already met 2 times so far and going to meet 2 more times by end of this year. Indo Chinese relationship is quite stable and based on mutual interest. Indo Iran relationship is historical and very deep. Iran can depend on India and vise versa. The author assumes that India will have to agree to accept Pakistan's terms for having the dialog. If the author is presenting the Army's views, let us forget about any normalization of ties between the two neighbours. A more realistic way would be for both to move forward for having a productive dialogue. A very fine article, based on analysis of facts. @timetostopthis Be less sentimental and more realistic, Indra was much more popular then Modi ever will be, what happened to her? She was kicked out and then killed by a sikh. Modi is hated by most Indians specially after demonetisation. When ever Indian minorities are hurt India breaks. What will you give it in to this time? change of heart on the authors' side is a welcome move and should be appreciated. Other countries make peace with their neighbors, but we both Pakistan and India simply cannot. Even those countries with much bigger reasons for enmity have realized the futility of war. Time has come ( for the deceased time has gone) for us to know that there really is hardly any difference between Pakistani's and Indian's, it is all made up by people who have an interest in hate mongering. China is the wisest in the region, it does not have any State religion, it does not waste time on religious issues like the way Pakistan and India does, time is used for nation building, the State is all powerful, everything else is secondary. Many countries in the world follow the same principle to a certain extent including the West. Matters are engineered to achieve the required result. We are a very sorry indoctrinated nation and have been for a long time. This guy always dream and write. He must wake up and write. @Jawaid . Instead of blaming India for our water woes - maybe we should make better use of the water resources. There was an article last week how we lose water through bad planning. As far as India and its water manipulation - the World Bank does not buy that line. @tarique Modi may not get majority in 2019 but he will come to power again.There is no opposition leader there as caliber and uncorrupted like him.Modi policy towards Pakistan is what majority Indian wants.thats the truth. Good article as usual. Some in India are realising, their policies are isolating themselves. While the CPEC train is starting to move and many regional countries are booked and getting ready to board. For India the time is now, because once the train speeds up, it will be hard to board and the train would have gone. Best is to resolve kashmir, return to Musharafs near agreed plan on Kashmir and get on board the gravy train, while India can. The issue of Kashmir should not be allowed to keep the relations between the two countries hostage. The relationship should move forward for normalization with no-war pact and economic cooperation. In the mean time, Pakistan can continue to provide its moral and diplomatic support to the Kashmiri people's right to determine their own future. If one read the above analysis without knowing the ground reality, one would think that Pakistan has all the leverage in the world against India. But of course reality is the exact opposite. People to people contacts through liberalization of visa will create positive environment for leaders to per sue resolution of out standing issues.